Bulletin: Pls know that those 2-4 minute "wonders" who think they know how Gifted, Experienced Psychics should read, and write nasty feedback based on readings of less than 5 mins (!!?) have no idea; REAL Clairvoyants such as myself, are not toaster ovens, or cell phones, or Google: we are Divinely Blessed Intuitives who need to be allowed to tune in~a REAL Reading is a process, a Blessed Unfolding; not an instantaneous idiotic event such as a text. It needn't be long, but too brief, is frankly an idiotic expectation. REAL Psychics read According to the Ancient Ways. No fairy tales; Only the Truth. Although, sometimes the Truth~~is a fairy-tale-like Romance scenario! Please; give the Psychic a fighting chance to feel your Energies, the "Vibrations", the Feelings on the Heart Level, of those whom You Love. Then, you'll get a REAL Reading which will TRULY help you; which will Reunite you in Love, with your Beloved. The Evolved, Intelligent, and Insightful among you, know this already~YOU are those for whom I want to Read! 3 minute "wonders," please, inflict yourselves on another. Or preferably on no one! Learn what the Psychic Arts and Gifts are truly about; then call. Then harm will not be done to anyone, only Good. My Goal and Calling. To Help and Bring Happiness. This DOES take more than 3 minutes! We are Guides; not God. Special Low Rate This Week~Catch me Now! My Price Goes up again soon. Clients say: "Simply the Best!" Extremely Experienced; Divinely-Gifted Angelic Gypsy Psychic Spirit. while I am Reading for you, I am 110% Yours! I work in Accordance with the Ancient, Real Ways of True Divination. Calling and My Priority. Warm-Hearted, Empathetic Psychic Super-Empath: Mind and Heart Reader. Unique DEEP Channeler; Heart Reader ExtraordinaireI Heart Realm Visions=Love Outcomes. I See and HEAR Clearly, (Clairaudient, and VERY ClairVisual) the Truth in Your Beloved's Heart Feelings for You. I KNOW EXACTLY How your Beloved Sees you and thinks of you. Come to me and let me enlighten you! and Predict your Love in the Future. will be answered clearly, directly, yet with pertinent detail. I also read on ALL and Any Life Concerns that you may have. that there are many more! I have 35+ years of experience doing In-Depth Readings; 19+ years on Keen. I also have approximately 35 years of Experience Reading Privately and via many other Venues. I have Reunited Countless Twin Flames For Life~many are now Happily Married..some, with children! I've been invited to many Soulmate Weddings that Directly resulted from My Guidance. God-Gifted Angel of Golden Gifts, a Powerful Psychic who truly cares about your Happiness..and Knows how to actually make it happen! Your reading was a breath of fresh air! So much to look into with each encounter with my POI. So many developing and progressing feelings. I remember a few months ago I was hoping to have made it this far with him and with your gifted help we have! Talk to you soon! Angel has always been the best advisor I have ever spoke to. I have had nothing but accurate readings and predictions, empowerment, deep insight, and truth regardless of the it being good or bad. Tonight I was lost in the dark and she found me. I wouldn't be the person I am today without her guidance helping me with the tough times. She takes the time to truly connect to you. Every real psychic is unique in their process. I have learned the hard way that most that just spew out answers without building a true connection are fake or telling you what you want to hear. I have had my heart broken time and time again from others. Angel has never broken my heart because she is the real deal. 5 million stars for Angel! I had some great news about finally getting together with my POI, and she helped me so much to understand the big picture and not fret the small details that were worrying me. I really appreciate having such a trusted, honest friend (who happens to be VERY psychic!!) on my side. She saves me from many sleepless nights and lifts my spirits. Angel my absolute favorite advisor! You pick up even the smallest changes without me having to say a word! You read his mood and actions completely correct! You've been right about how all of this forms and comes together all this time and you continue to be right on the nail! Cant wait to share more with you! Golden Guardian Angel has been a user of Keen since 2001. 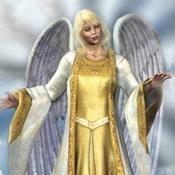 Getting Love & Relationships advice from Golden Guardian Angel through www.keen.com is safe, secure and confidential.